Today's quote is more on the silly side, but sometimes you need a little silly, especially at the end of a long week. I've been watching old episodes of The Office on Netflix, and oh man, Dwight Schrute just kills me. This is one of his most ridiculous exchanges with Jim Halpert, simple yet laugh-out-loud hilarious. I kept repeating it over and over again the other night, cracking myself up. I don't think Jordan knew what to do with me! Dwight: What's your daughter's name again? Pee Pee? Ridiculous, right? But also kind of genius. I think part of what makes Dwight such a hilarious character is how rigid and serious he is, how even when it's clear that someone is pulling his leg or giving him the runaround, he always sticks to their logic, even if it doesn't make any sense. Like here. 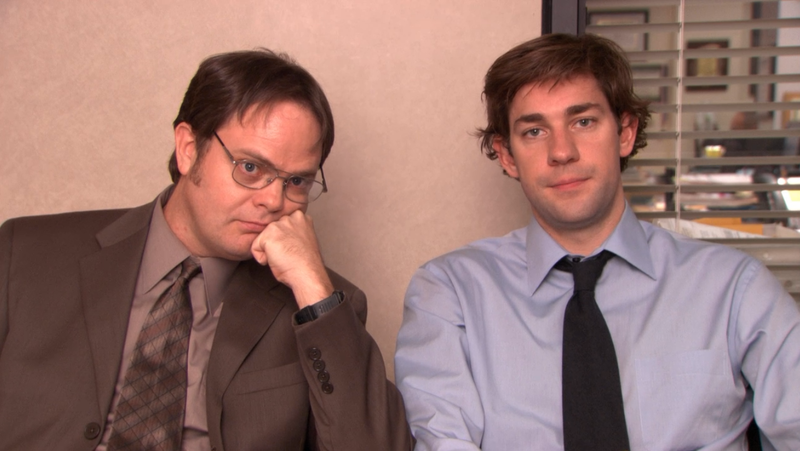 Peepa is clearly a ridiculous name, and Jim is clearly joking with Dwight. But Dwight takes Jim's joke at face value without even missing a beat. Jim: As ranking number two in this office, I am starting a committee to determine the validity of the two committees, and I am the sole member of the committee. The committee acts on this now. Dwight: OK, this is stupid. Jim: Could you please keep it down? I'm in session. [long pause] I have determined that this committee is valid. Dwight: What? No! No! Wait! Wait, wait, wait. 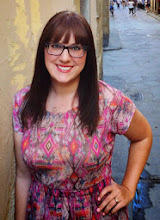 [thinks about it] Permission to join the Validity Committee? 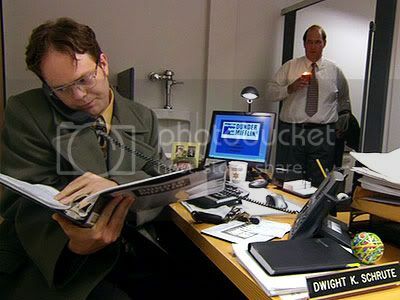 Instead of calling out Jim, Dwight plays by his rules, even though they're clearly ridiculous and meant to get a rise out of him. He's so trusting and rule-bound that even when people are simply making things up to get the better of him, he unwittingly plays along. And I think it's hilarious! When Jim calls Dwight's phone line, he simply sits down and starts answering Jim's questions matter-of-factly. Because that's what you do when your phone rings. Even if your desk is in the bathroom. Does anyone else like The Office? What's one of your favorite quotes? That is a great observation, Dwight really is sooooo accepting of ridiculous situations and statements. Which mostly come from Jim. Like the PeePee/Peepa thing, with Dwight introduces their baby as Pee Pee at the garden party. Dwight is my favorite of conundrum - so paranoid and so trusting at the same time. Like him accepting Jim's "tips" for public speaking for his sales award, or when he fully accepts the rules of shunning Andy and keeps shouting at Jim to tell Andy the right thing. Yay! It's been so much fun to re-watch it. Who's your favorite character? There are so many and way too many funny moments!